In the world of performance marketing industry, affiliates have immense money-spinning opportunities to significantly increase their revenues and to create greater amount of wealth. Here, even small advertisers can take advantage of the affiliate marketing programs as a source of lucrative wealth creation, provided they abide by the basic rule of performance marketing. Set simple terms – You need to ensure that you’ve set easy-to-understand and follow legal affiliate program terms. Moreover, you’ll have to make sure that your affiliates know the dos and don’t s of the program as well as the responsibility that they share as a partner to your business. Additionally, it is important for you to keep a track of the whereabouts of your affiliates and if you find something amiss, then don’t hesitate to enquire about the same with the concerned affiliate. Stay competitive – You must ponder about your competitiveness and find out in details about your affiliate program’s unique selling proposition (USP). This will help you to mark out the major differences between your affiliate program and that of your peers or competitors. Though it is quite unlikely for a small advertiser like you to have a strong brand presence so early, yet it is important to project your campaign as strong contender to reckon with. Study the programs offered by your competitors to make sure that you have a competent compensation package and cookie tracking system. 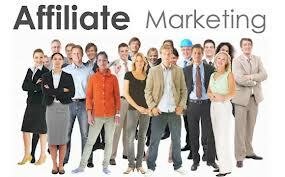 Create affiliate-oriented portal – If your affiliates make good money out of your promotional campaign, so will you and this is why it is an imperative to have an affiliate-centric website. You must take proper care to minimize leakage so as not to annoy your affiliates. Basically, leakage is referred to those events where affiliates fail to get their commission just because of tracking deficiency on the advertiser’s part. Internet marketing issues such these are rampant in the channel that plagues almost all the affiliate websites. Use creativity – To attract more affiliates and spread your niche affiliate marketing network, you ought to make ample use of creativity and various other tools to make it easier as well as enjoyable for the affiliates to work for you. So, to best achieve this target, you’ll need banners that send a straightforward call to action message and are available in every standard size. It’ll be really grand to work for you, if you can provide your affiliates with loads of variety to choose from. In addition to that, always have your own website’s datafeed updated on a regular basis. 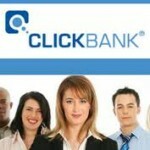 As a result, your affiliates will have precise information to work and thus, increasing the probability of conversion. 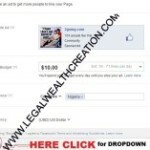 Legal affiliate marketing programs must be replenished with fresh and larger affiliate base so that you and your affiliates make good money while at the same time helping them in their effort of greater wealth creation.